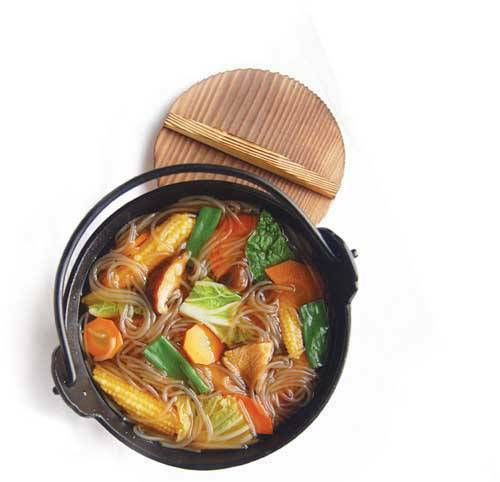 Our simple version of the healthy shabu-shabu without the meat and seasoned with our Mama Sita's Pang-gisa Mix. 1. In a saucepan, boil soup stock. 2. Add vegetables, sotanghon, Mama Sita's Oyster Sauce and Mama Sita's Pang-Gisa Mix. 3. Bring to a boil and cook until vegetables are done. Serve hot.